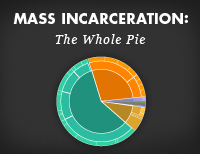 Home Page > Publications > Briefings > Are private prisons driving mass incarceration? 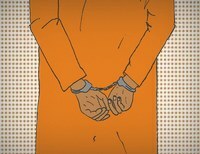 Are private prisons driving mass incarceration? Private prisons are more like a parasite on the publicly-owned prison system, not the root cause of mass incarceration. Private prison companies have found ways to profit on America’s experiment with mass imprisonment, but they are, to build on Ruthie Gilmore’s analogy, less the seed or the fertilizer fueling mass incarceration and more like a parasite on the publicly-owned prison system. Note that the federal government didn’t even bother to track the size of private prisons until 1999 and that we calculated the size of the government-run prisons by subtracting the private prisons from the total. The data from 1987 to 2001 was collected and published by an academic in Florida with a uniquely close relationship with the industry. Due to different methodologies, the data aren’t entirely compatible but together they show the birth and initial growth of the industry follows rather than leads the prison boom. The industry’s long plateau in the last decade makes it clear that the private prison industry has largely been locked out of sizable growth. Now, of course, the influence of private prisons will vary from state to state and they have in fact lobbied to keep mass incarceration going; but far more influential are political benefits that elected officials of both political parties harvested over the decades by being tough on crime as well as the billions of dollars earned by government-run prisons’ employees and private contractors and vendors. The beneficiaries of public prison largess love it when private prisons get all of the attention. 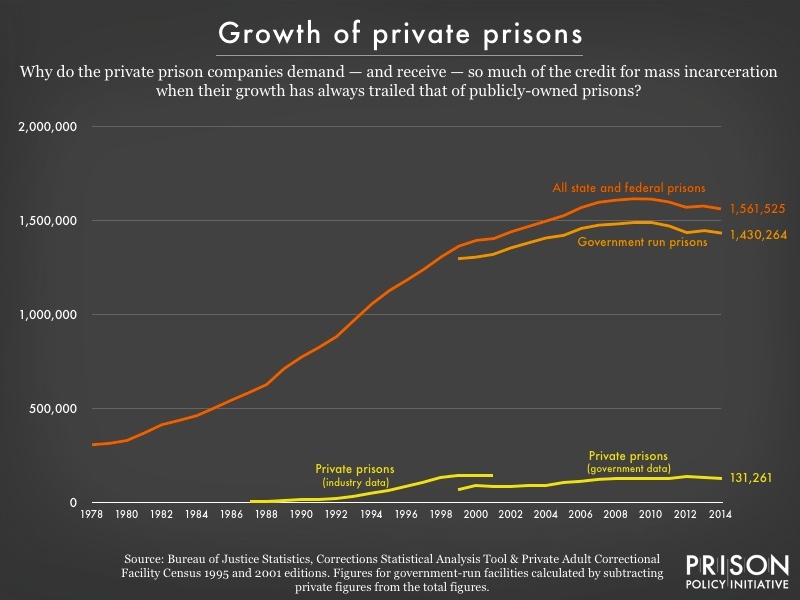 The more the public stays focused on the owners of private prisons, the less the public is questioning what would happen if the government nationalized the private prisons and ran every facility itself: Either way, we’d still have the largest prison system in the world. But if private prisons aren’t at the root of mass incarceration, that doesn’t mean that private investors haven’t found ways to make our criminal justice system worse. The sins of the prison and jail telephone industry trying to charge families $1 a minute for simple telephone calls are well-documented. And the private bail industry keeps legislatures from passing sensible bail reforms that would allow poor, unconvicted people who pose no public safety threat to wait for their trial at home rather than in jail. What I find most worrisome is the rush of private money to fuel the development of “alternatives” to incarceration like electronic monitoring or private probation services that ensnare people who previously would never have been under criminal justice system control. 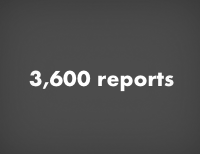 And worse, because many of these services are paid for by the person being monitored, they remove any fiscal barriers to large-scale unnecessary use. Some private prisons are, um, public.